Situated in Camperdown, this hotel is within 1 mi (2 km) of Broadway Shopping Center, University of Sydney, and Royal Prince Alfred Hospital. Capitol Theatre and Enmore Theatre are also within 2 mi (3 km). Glebe Light Rail Station is 23 minutes by foot and Jubilee Park Light Rail Station is 24 minutes. Situated in Camperdown, this hotel is within a 15-minute walk of Royal Prince Alfred Hospital and University of Sydney. Enmore Theatre and Powerhouse Museum are also within 2 mi (3 km). Sydney Macdonaldtown Station is 17 minutes by foot and Sydney Newtown Station is 19 minutes. 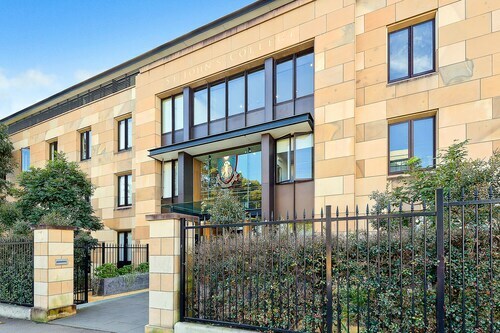 Located in the heart of Camperdown, this apartment building is within a 15-minute walk of Royal Prince Alfred Hospital and University of Sydney. Capitol Theatre and Enmore Theatre are also within 2 mi (3 km). Glebe Light Rail Station is 19 minutes by foot and Sydney Macdonaldtown Station is 19 minutes. Situated in Camperdown, this hotel is 0.6 mi (0.9 km) from University of Sydney and 2.4 mi (3.9 km) from Hyde Park. Sydney Harbour Bridge and Circular Quay are also within 6 mi (10 km). Sydney Macdonaldtown Station is 18 minutes by foot and Sydney Newtown Station is 20 minutes. 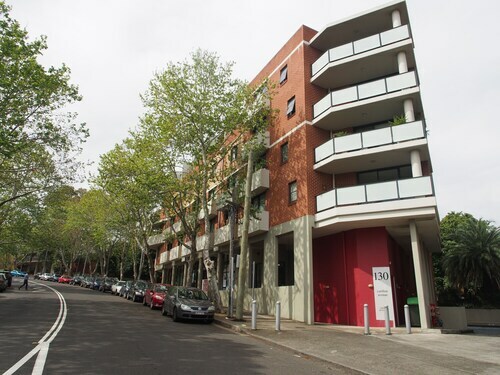 Situated in Newtown, this apartment building is within a 10-minute walk of University of Sydney and Royal Prince Alfred Hospital. Capitol Theatre and Enmore Theatre are also within 2 mi (3 km). Sydney Macdonaldtown Station is 10 minutes by foot and Sydney Newtown Station is 12 minutes. 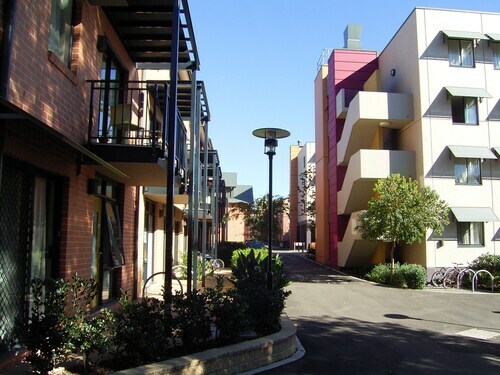 Situated near the airport, this apartment building is within a 10-minute walk of University of Sydney and Royal Prince Alfred Hospital. Enmore Theatre and Powerhouse Museum are also within 2 mi (3 km). Sydney Macdonaldtown Station is 12 minutes by foot and Sydney Newtown Station is 13 minutes. Situated near the airport, this aparthotel is within a 15-minute walk of Royal Prince Alfred Hospital and University of Sydney. Capitol Theatre and Enmore Theatre are also within 2 mi (3 km). Glebe Light Rail Station is 21 minutes by foot and Jubilee Park Light Rail Station is 23 minutes. 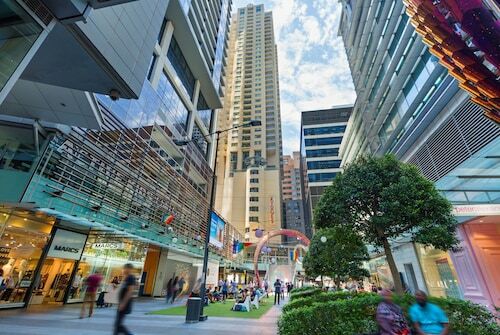 If you are thinking of checking out the state of New South Wales, don't miss its capital, Sydney. Located 3 kilometres southwest of the heart of the city, visitors will find the district of Camperdown. Sydney is home to a number of recognisable things to see, such as the Sydney Opera House, Bondi Beach and Sydney Harbour Bridge. A trip to Brett Whitley Studio is a wonderful rainy day activity for artistic types. If you'd like to hit the hay nearby, check the rates at The Darling at the Star and Quay West Suites Sydney. If you have a reputation as a committed art lover, Ray Hughes Gallery is something you won't want to miss. 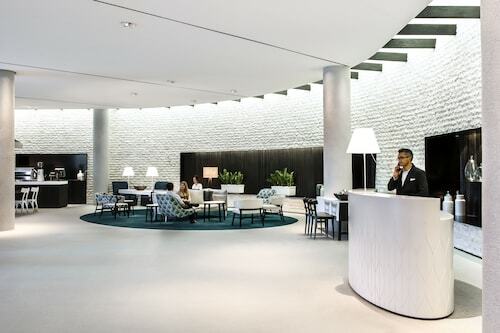 Boasting a fantastic selection of unusual masterpieces, you'll be delighted you put aside some time to enjoy the experience For this spot, try the Establishment Hotel and Zara Tower - Luxury Suites and Apartments. Camperdown has a good range of hotels and other accommodations for most budgets. On the other hand, if you're looking to spend a little more, have a squiz at the deals at the Ryals Serviced Apartments Camperdown and Quality Apartments Camperdown. A fantastic Camperdown cafe, Vulcan Hotel is well worth popping into. Kick back with a good book, treat your tastebuds to a piece of cake or just grab a coffee to take away. All that sightseeing can certainly wear you out. Luckily, Rendezvous Hotel Sydney Central serves up delicious meals that will be sure to satisfy even the most ravenous of travellers. If you're after a few drinks before calling it a night, why not pop into Wake Up! Sydney? Who knows, the bartender might even be able to give you some tips on what you can see tomorrow! 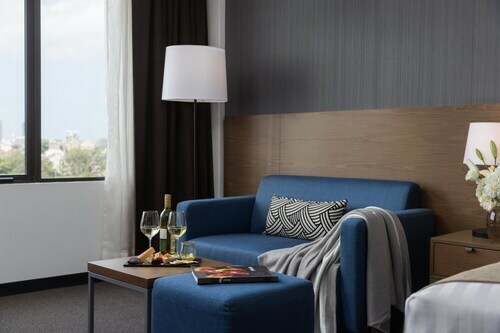 If you and your travelling companions cannot find the perfect Camperdown hotel room, check out the King Street hotels guide. Alternatively, the Wotif Darlington hotels guide has options for you. 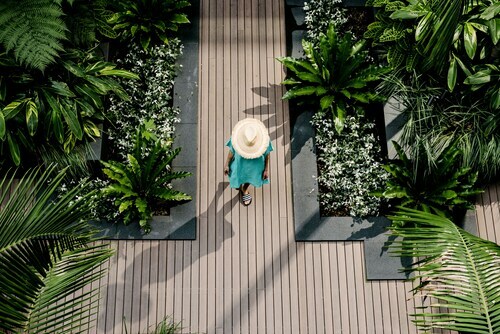 Wotif can sort you out with some great places to lay your head in Camperdown, so when you're ready to explore Sydney, we'd love to take you there! How Much is a Hotel Room in Camperdown? Hotels in Camperdown start at AU$90 per night. Prices and availability subject to change. Additional terms may apply.